This week, I reached out for a Holiday Turkey Melt, new from America's 24/7 diner, Denny's, with 1,700 restaurants coast to coast and top and bottom. Think of a Thanksgiving dinner sandwich. Or, if you're like me, the day after Thanksgiving dinner sandwich. Here's the Holiday Turkey Melt breakdown: carved white meat turkey breast, savory stuffing, melted Swiss cheese and cranberry honey mustard sauce on a grilled potato bun. Served with a side of wavy, groovy fries and a dish of turkey gravy for dipping. Now strap yourself in for the nutritionals, and you may need an XL strap by the time you squeeze out of a Denny's booth. Total calories: 2,250. Fat grams: 108. Sodium: 4,250 mg. Carbs: 256 g. Dietary fiber: 14 g. Protein: 65 g. Manufacturer's suggested retail price: $8.99. Wow, just wow! 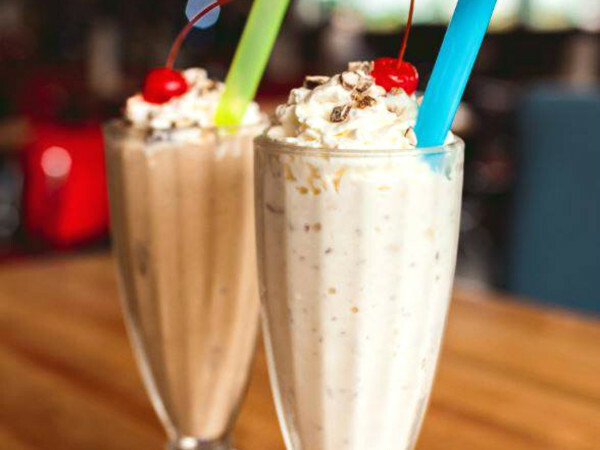 I have written more than 1,200 reviews of fast food, diner food, food truck grub, malts, and milk shakes. This Holiday Turkey Melt takes the cake for most calories, most fat, most everything. And that's not including a slice of cake for dessert. For context, CultureMap food editor Eric Sandler looked up the numbers on a Domino's medium, hand-tossed pizza, with pepperoni, mushrooms, and cheese. This sandwich is the equivalent of 10 slices of Domino's pizza. Everybody has some sort of post-Thanksgiving strategy. I like to take a bowl and pile in turkey, potatoes, stuffing, and gravy and gently fold everything together before microwaving the mashup. Serves one, best enjoyed in front of the TV. I swear, it's better than real Thanksgiving...possibly because the relatives are gone, and nobody's talking politics. 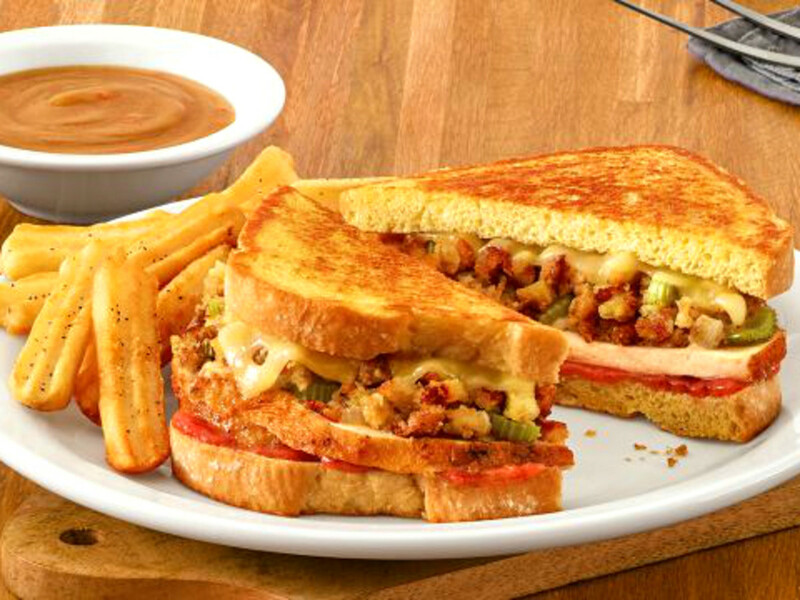 Denny's Holiday Turkey Melt is a big-time meal, a good deal of food for a good deal on the price. The turkey is an extra thick slice, and the stuffing tastes homemade, or even better, out of that familiar red box. That's when Denny's starts making odd choices. 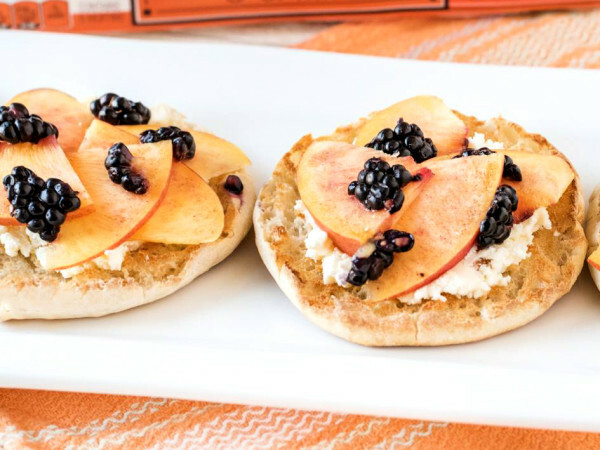 Swiss cheese is an old reliable on a sandwich, certainly a turkey club, but maybe this makeshift Thanksgiving sandwich isn't the time or place. Cranberry honey mustard — what is that? I'm not saying Denny's Holiday Turkey Melt isn't worth a try, absolutely it is. I would have done things differently, that's all. First, and this is the headliner, I'm a dark meat turkey fan. It's just juicier and more flavorful than the breast. When I'm home and carving the turkey, I set aside a thigh for Papa Bear. Where do French fries fit in the Thanksgiving picture? Let's go with mashed potatoes, not on the side, but inside the sandwich. Denny's has mashed potatoes in the kitchen, not asking for a lot here. And just plain cranberry sauce, please, no need for honey mustard on this day, on this sandwich. There! Now you have a Holiday Turkey Melt. But until Denny's let me decide things...their version will do quite adequately.